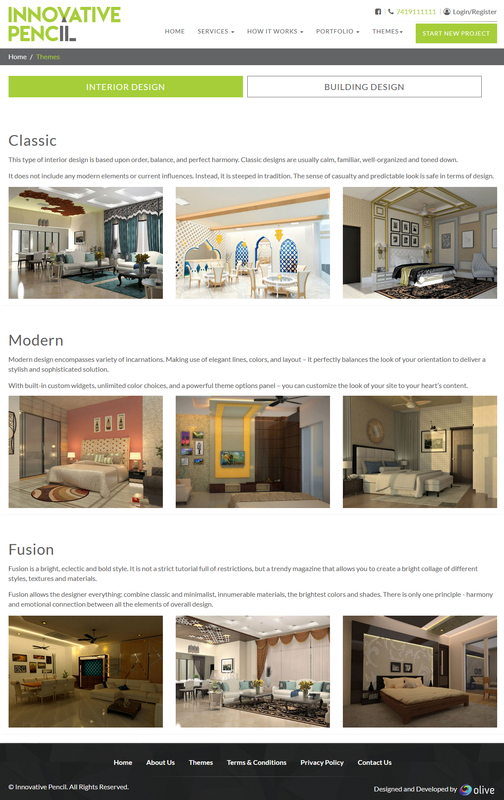 Innovative Pencil, as the name suggests, is the brand of enthusiastic team of interior and building designers who are working upon the unique concept of providing digital drawings-the drawings of interior and building designs, at the feasible rate with unique payment solution. Understanding the relevance of digital deck for marketing and importance of digital existence, the team of Innovative Pencil decided to undergo digital branding exercise. However, the task of giving a digital makeup to the brand was not easy as it is a service-oriented brand having unique concept. Each platform that they were looking to position themselves was demanding an easy presentation of their ideas and concepts along with perks of their services. Our team at Olive came on board for discussion and brainstorming after deeply understanding the concept from the client. 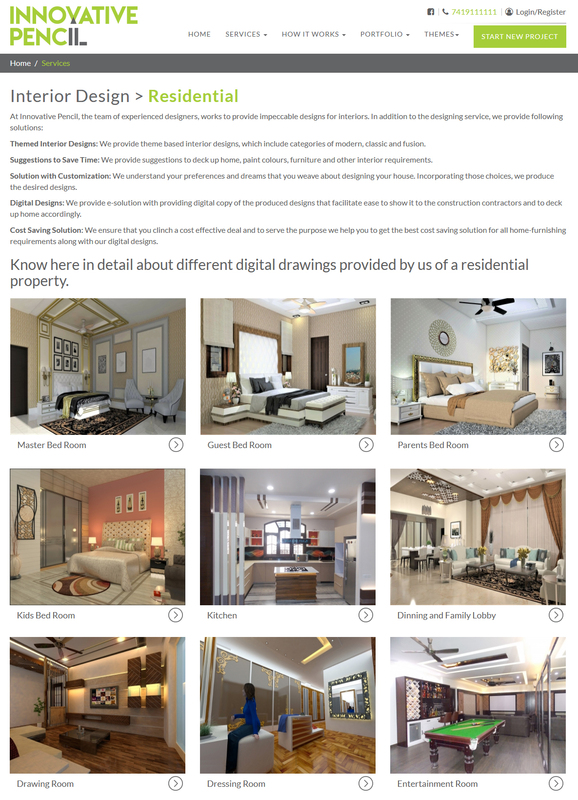 We understood the niche they want to target and we worked upon the ways to push this concept on digital deck and to inculcate its relevance in the minds of target audience. 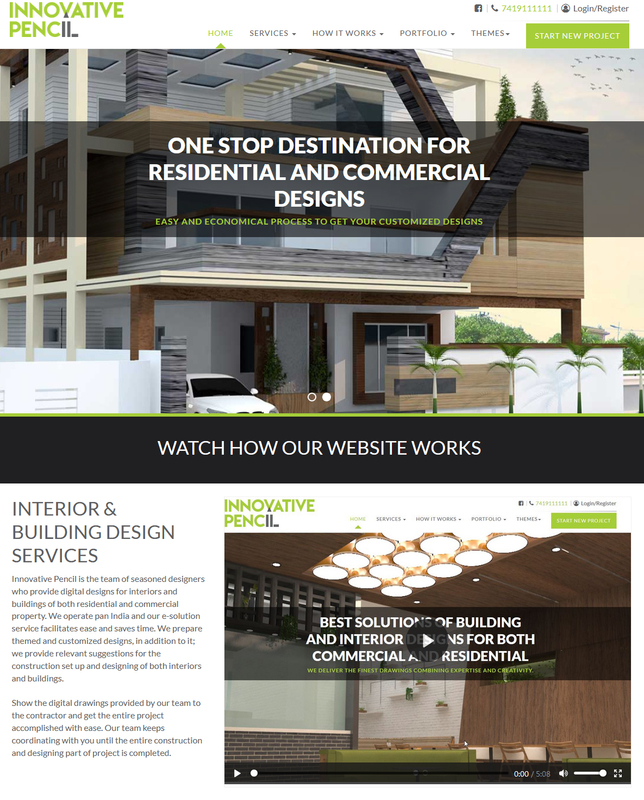 An all-round digital solution of website designing, development, social media-brand positioning and marketing, content strategy and lot more that we offered to Innovative Pencil. Painting a face for Innovative Pencil on the digital podium, we designed and developed clean and captivating website design that speaks the essence of their brand. We used their brand colors and imbibed with our creativity to make it attractive enough to pull the attention of viewers. We understood the intricacy and uniqueness of the concept, and hence we worked upon building its content strategy for website, social media accounts and blogs. As an add-on to our digital services, we also lend our support in developing their videos collection which is utmost important for the brand to convey its message and working idea. We renovated the videos and added voice-overs and background score to make it interactive as possible. Our expertise in social media is channelized to the requirement of Innovative Pencil. We helped the brand to position on social media space and worked upon the social media branding and marketing to cater to the wider relevant audience. The trust that Innovative Pencil put in us is utmost of worth and our relation is in continuation with all the support that we as a digital agency can offer.